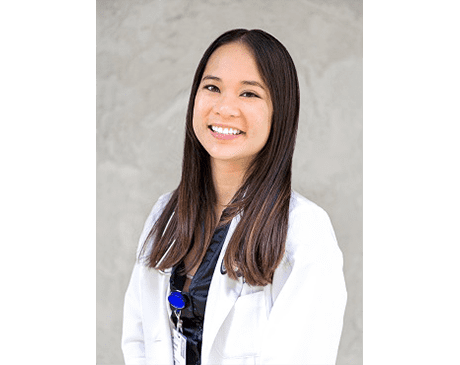 Kimberly Nguyen has been a practicing certified Physician Assistant since 2011 with a background in interventional cardiology and vascular surgery. She conducts physical exams, diagnose conditions, interprets tests and writes prescriptions. She graduated from the University of California, Irvine with a B.S in Biological Sciences. She then received her Masters in Physician Assistant Studies at Touro University where she was inducted into the national honor society for Physician Assistants, Pi Alpha. Outside of the office, you can find her training along the beach, participating in cooking competitions or spending time with her family and friends. For insurance related questions, please call the front office.